What is Phenology and Why is it Important? For most of us, phenology is not a common household word, and you may be wondering what it means. Phenology is the study of cyclic and seasonal natural phenomena, especially in relation to climate, plant, and animal life. It comes from the Greek word meaning "to appear," and often includes the study of when species appear in an area throughout the year, such as flowers blooming or birds migrating. In modern times, this type of research has become a focus so that we can better understand how animal and plant life cycles are influenced by seasonal variations in our climate, as well as changes in habitat. 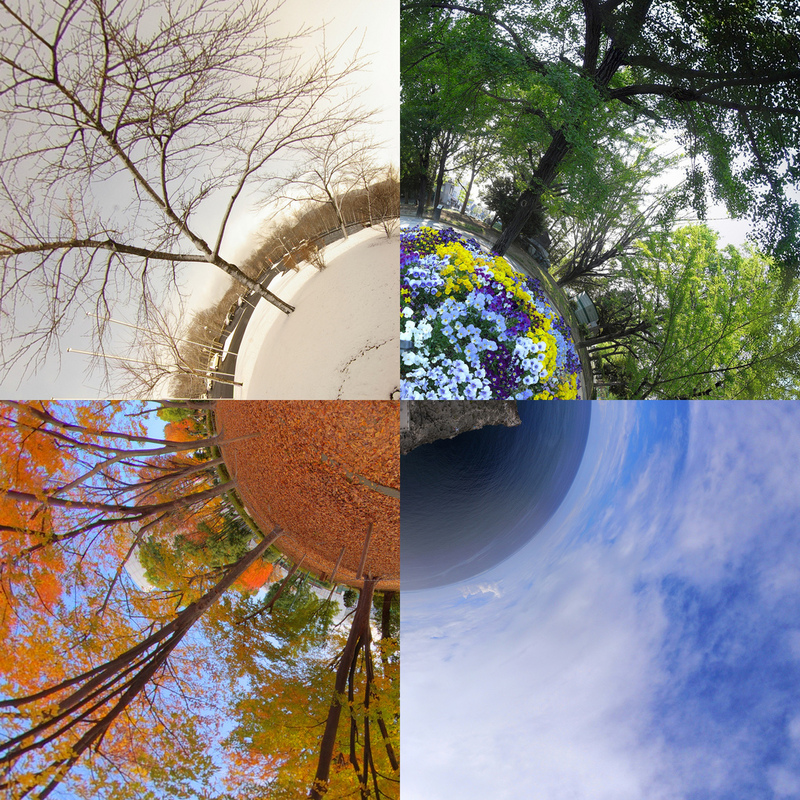 With the increasing changes in our planet’s weather patterns, phenology is more important than ever, and there are several ways we can help in the research and data collection. As phenology scientists try to better understand what’s going on with our Earth and climate, we as citizen scientists can help them collect and organize data. You can find more information on citizen-based science here. Below, Ranger Mac will go into more detail about phenology and what you can do to get involved. Phenology is a necessary study, because any ecosystem is made of a diverse web of interactions among all sorts of species. Plants are at the heart of many food webs, and factors that affect plants will usually have a larger impact on the ecosystem as a whole. But most plants also can't survive on their own without help from the other species, such as pollinating birds, animals, or insects. Phenology is needed because it helps us determine whether plants or animals will continue to thrive or even survive in their changing environments. Our food supply depends on the timing of certain phenological events taking place, such as when flowers bloom and when the bees begin pollinating them. To observant scientists, any changes in the timing of phenological events can be used as an indicator of a changing climate. Phenological observations have been used for centuries by farmers to help them maximize their crop productions. Nature lovers use observations to anticipate the prime time for wildflower viewing. Many of us, whether we know it or not, use phenology each year to help us prepare for those pesky seasonal allergies. All around the world, people plan fairs and festivals around phenological events taking place. A great example of this is the cherry blossom festival that’s held in April in Washington D.C. This is a festival that’s centered around the beautiful trees that line the Washington monument. But over the past few years, the cherry blossom trees have been blooming earlier and earlier. So what makes this a phenological event? These trees bloom in a response to the warming temperature, so if climate change is causing it to be warmer than usual at an earlier time in the year, the flowers will bloom earlier as well. What does phonological timing mean for the ecosystem? It takes time for an insect to develop from egg to larva to adult. For many species, this growth cannot be sped up because the flowers are blooming early. When the climate warms, plants might become out of sync with the insects that pollinate them. The insect that is still larva cannot fly from plant to plant to help pollinate it, and without pollination, those flowers are not going to be fertilized and will not produce fruit. It's not just insects and flowers that are affected by annual timing. Birds and mammals are also affected. Consider the mice. Many mice eat insects and seeds, and if a plant blooms too early for the insects to pollinate them, then the seeds will not grow. If these insects are too late to gather food from the flowers, then they will not survive either. This means that without seeds or insects to eat, the mice may not survive. Looking at the bigger picture, animals like snakes and hawks that then eat the mice will also go hungry. The changes in phenological events can also have a significant and direct impact on our lives as well. It can impact how we interact with our environment. A climate that stays warmer throughout the year may produce more harmful pests such as mosquitoes that bother us and spread disease. Also, the timing of when a plant flowers and produces fruit can affect our food supply and our overall health. Looking at pollen allergies, these can also be shifted by changes in phenological conditions. If a person is allergic to pollen, they will experience reactions to the changes in the flowering times and the lengthening of the growing season. With historical records and observations over time, we know that phenological events always vary from year to year. In one year, an area may get a lot of snow and ice and not start to warm up until well into spring. The next year may have no snow and an early warming into summer, only to swing back to extreme cold and ice the next year. Ecosystems are able to recover from such variation between years. However, when these changes happen constantly over many years and become worse and worse in one direction, as with the current trend towards global warming, the timing of events will impact how plants, animals, and humans react to their environments. For many temperature-sensitive species, this will mean relocation or even extinction. The USA National Phenology Network is an organization that’s full of thousands of volunteer observers, from professional research scientists to educators and policy-makers to regular concerned citizens. One of the programs that the USANPN uses is Nature’s Notebook. This is an online resource that allows people all over the world take note of phonological changes. The group collaborates with all kinds of professionals to help advance the science of phenology in order to help others make informed decisions. These observers record long-term observations of plant and animal life stages. There are many other groups out there that record this kind of data as well that you can find in your local area. No matter how big or small your data contribution is to phenology, you can make an impact by recording the phenomena that appear around you. If nothing else, just start a journal with information on the plants and animals you see around your home. You never know when this information may be useful to scientists in the future! Phenology is an important and growing area of science, and every little bit helps us to better understand our ecosystems and what we need to do to keep protecting them.